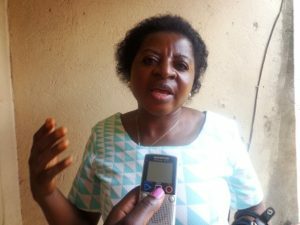 The National President of the Kimbi-Buabua Lake Nyos Survivors Development Association, BUKILSDA, Mary Kimbi Yuabang, has asserted that the Government has done very little to assist victims of the gas disaster that struck the villages of Chah, Nyos and Su-bum 30 years ago. She made the statement in an exclusive interview granted The Post ahead of a commemoration ceremony in Su-bum, Nyos, on August 21, the same day in 1986 when Lake Nyos emitted poisonous gas which killed over 2000 people and animals. Mrs. Yuabang also talked of the plight of the survivors, government neglect, failed projects in the area, the quest by survivors to return to their ancestral land, and BUKILSDA’s resolve to rebuild their land and so on. The Post: How was it like experiencing the Lake Nyos disaster? Mary Kimbi Yuabang: It was really sad to wake up one morning and find the whole village in that kind of situation. It had never occurred before. In my family, about 20 people died. Even those who survived were sub-conscious because they couldn’t really explain what actually happened. Who are the close relatives that you actually lost? I lost my grandparents, my aunts and my mother’s siblings. One actually died with all her children; then my cousins and uncles. How has that particular event affected your life? When we sleep and wake up we think we might die the next day. First of all, we thought that what happened was natural. The lake was not very close to our village, and there are so many lakes in Cameroon and that kind of a problem has never happened before. And for a thing like that to happen killing thousands of people in three villages was to us a sad event that impacted our life negatively. Many people were displaced during the disaster. Have they been resettled? No. the disaster affected three main villages; Chah, Nyos and Su-bum. I am from Su-bum. People were displaced to five resettlement areas. Then, those resettlement areas were in Menchum Division. But today, they are in Boyo and Menchum Divisions. I fall within the Boyo area. We were made to understand that we were going to temporary residential areas, where till date, we call camps. Survivors were sent to five camps but unfortunately, I think only three main camps exist today because out of frustration, and some neglect, many people abandoned the camps for other villages like Bafmen and Esu. How much assistance have you received from the Government? I can’t really say, but what I know is that the Government evacuated all the victims. They selected those who were going to school and took them to the Catholic Mission, where they were accommodated temporarily. They enrolled them in some schools like GTC Wum and SASS Wum. But after two years, the Government just abandoned the children and most of them dropped out of school. For those who had to go back to the resettlement areas, the Government built houses for them; according to the sizes of the family. The most a man could have was a two-bedroom and a palour. Today, that population has grown out of proportion. The houses have become too small to accommodate the growing population. Those are the things Government did. So, what are the survivors asking from the State now? Time and again, the Government comes in, like in the event we are about to have on Sunday, they come with some food items to give to the people. Sometimes, they will donate corrugated zinc sheet to the survivors. But our major preoccupation today is to go back to our ancestral land. Because no matter how long we stay in a camp, we know we are still to go back to our land. But that is being done. Most of us are rebuilding our land. Many people have been dancing around this disaster issue, drawing up projects through NGOs and other associations. We only hear them propagate it on media but we don’t see the projects being realised in the field. For example, the famous Lake Nyos project which was announced in 2009. This Lake Nyos project had three phases. The first phase was that of creating awareness; that is building up the moral of the victims and finding out from them what they really need, if they go back to their ancestral land. That phase passed. The second phase was degassing the lake. That I can’t say for sure because, I am not a scientist. But we were made to understand that the lake is free and safe. And that is why we went ahead to construct houses. The third and last phase was on how to accompany the survivors to their ancestral land which was announced in November 2014. We held meetings with the European Union and the Government. But we are very embarrassed that none of the projects has been realised. If you go to the area you will see unfinished projects. I’ll take the case of a primary school. A contractor came, started the project and abandoned it. Since March, I have gone to the European Union twice. The first time I went there, they said they would inform me when they are going to inspect the work. I went again and they said they were too busy in a meeting. Then an NGO in Yaounde called Refort Action came. They said they had to look for a water catchment and what is so disappointing is that, people are going to a land which has been abandoned for over 30 years with no water scheme. And some of the rivers have dried off because of the climate change. I struggled to dig a well in our compound and it wasn’t easy. So, you see, the people are living a wretched life. So if you want to mention what the Government has done to the people, you will see that it has done very little. What activities would you be carrying out on Sunday? This time, we decided that we should take our plight into our own hands and see how we can reach our brothers, those within our Division and other Divisions. We should rebuild our land without expecting assistance from wherever. And that is why we haven’t gone to any organisation. Before, we used to distribute invitation letters but people used it to do what they wanted to do with it. So, this time, since we are in a reconstruction process, we are going to commemorate the 30th anniversary by giving thanks to God that at 30, we can rebuild our village without relying on Government. Where are the activities taking place? In Su-bum. Survivors will be coming from other villages and other areas nationwide. We have two camps which are the biggest that is, Kimbi and Buabua. Earlier you reacted as if you were not sure that what happened was a natural disaster. What do you have in mind? To be frank with you and from a layman’s view point, if you look at what happened at the lake, the time that our Government took to degas the lake, and the impression which they gave us that the carbon dioxide was building up in that lake, you will agree that the lake would have exploded again and again even in the few years back. So to me, something strange beyond my understanding happened there. Are you suspecting it was a manmade disaster? I am not sure it was a manmade disaster, but I don’t know where it came from or how it happened.